Acid test is awaiting captain Dhoni at Perth, when Team India will take on resurgent Aussies in 3rd test match of the Border-Gavaskar Trophy. India already down 2-0 and will be playing at Perth to save the series. 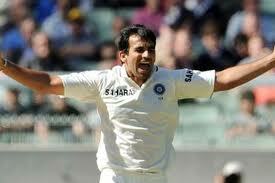 Loss at Perth will shatter all the hopes of Indian fans and win will certainly bring smile on the grim faces. But it is not going to be that easy for Team India. Although, history is with Team India, if Team India take some inspiration from last tour, in which they won at Perth, then I believe their task will become simple. Talking about resources, I think team India have all the arsenal in the world to beat Aussies, only thing required is little application by batters and bowlers, also require some impeccable and offensive strategy from Captain Dhoni. If Dhoni continue his defensive tantrums, then it will going to be difficult task for Team India at Perth.First of all, Dhoni will have to select correct personnel to fight this battle and first change he has to make is to replace out of form Virat Kohli with talented Rohit Sharma. Everybody knows Rohit Sharma is far more talented than any other youngster at present. So its right time for Rohit to make his debut. There is also good sign for Team India, as all the batsmen except Kohli have the half century under their belt going into this test, so form of the batsmen is not going to be a problem. Tendulkar, Dravid, Laxman, Gambhir and Sehwag had spent fair bit of time out in the middle in last two test matches only problem they faced, that they couldn't convert those 50s into big hundreds and that's where these batsmen have to be careful. Especially, for Tendulkar, it will going to be a important test match to score his 100th ton and he can take inspiration from his 1991 innings, in which he scored brilliant hundred at the same venue and announced his arrival in International cricket. 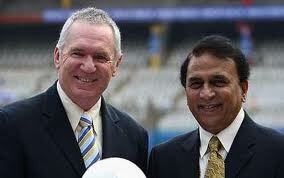 Tendulkar must get rid of that monkey on his back which is haunting him for last one year. Talking about bowling, I believe India have all the resources in place in this department and bowlers need little cushion of runs. Bowlers also need aggressive and appropriate field placings as Umesh, Zaheer and Ishant are bowling quick with good rhythm, if they get little support from Dhoni, then I think they can pick 20 wickets without any problem. Conditions in Perth will also favour the bowlers as pitch is going to be green top and will have lot of bounce which will assist quickies to pick wickets, only thing is required from the bowlers is to put the ball in right areas and allow the pitch to do the trick. Perth wicket is heaven for the fast bowlers, if bowlers apply their mind then they will be able to trouble all the Aussie batsmen. Toss will going to be a crucial factor in this game as whoever wins the toss will opt to field first. So, its important for Dhoni to win the toss and go for the kill. Ashwin will certainly enjoy bowling at Perth due to good bounce from the pitch. 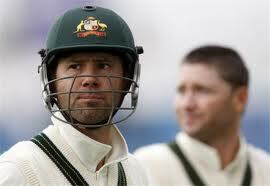 He is tall and will extract good amount of bounce which will trouble Aussie batsmen. It's going to be golden chance for Rohit Sharma to prove his batting prowess, if he gets the nod to make his debut. As far as Australia is concerned, they will be under no pressure, whatsoever, going into this test match, as they are enjoying unassailable lead in the series. Ponting and Hussey are back among runs and got rid of sword which was hanging on their heads before start of the series and this is not going to make life of the Indians easy as they allowed Ponting and Hussey to got among the runs in last two test matches. Captain Clarke is in sublime from, must be in immense confidence after hitting that brilliant triple hundred at Sydney. So Aussie batsmen are in full form and looking good to score few more runs. Bad news for Australia is that, young bowling sensation Pattinson is ruled out of the series due to injury which can be a good news for India but Aussies have able replacement for Pattinson and that is Ryan Harris, who had dream test match against England on the very same venue last time when he appeared for Australia. Siddle, Hilfenhaus and Harris makes formidable combination to trouble Indian batsmen, taking into account, the pitch condition. I believe they will certainly trouble Indian batsmen. So, Indian batsmen have to apply themselves hard to tackle these world class bowlers who are deadly dangerous in their home conditions. News of rift between Sehwag and Dhoni will certainly not going to help the cause of Indian team and they have to forget all the differences going into this test match. So, its going to be hard fought contest at Perth and looking at all the points, I believe Aussies are favourite to win this test match as well unless they make any mistake, as they say 'Cricket is a game of glorious uncertainties'. This 3rd test will also decide the future of Dhoni as test captain of Team India. 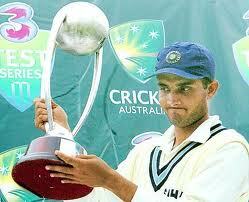 Hope, India come out of Perth with flying colours, just like they did last time. But, at the moment it is highly unlike.